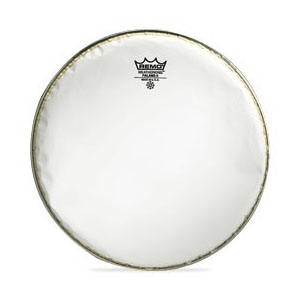 REMO®’s strongest snare side head. The Falams® II features a Kevlar® weave laminated with Smooth White™ film. The Falams® II 7.5-mil construction can withstand extreme tension without choking the drum. Ideal for a crisp, dry, sharp attack.